Jay: So guys, we’ve had a chance to digest From A Certain Point of View for a little while. This was always an interesting project — a book commemorating the 40th Anniversary of A New Hope, but trying to avoid well-trod ground. It was a huge undertaking to get 43 authors involved, and even more so to accomplish all of that for a charitable cause. Here at Eleven-ThirtyEight, we’ve been extolling the virtues of short stories for a while — both as a way to introduce new authors into the mix and to experiment with different kinds of stories. 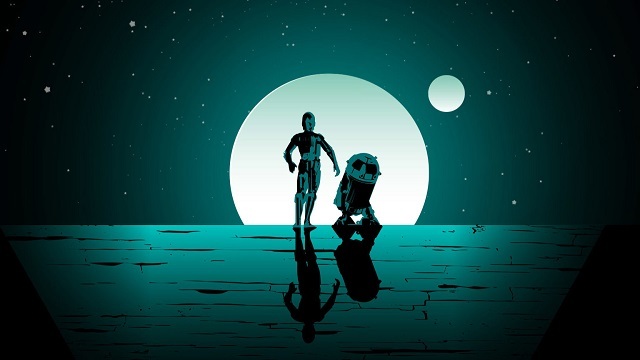 After all, I think several of us would agree that there is no one right way to tell a Star Wars story — that we can think beyond the expectations of Jedi, space battles, past tense, all of that, and get something different that still feels very much like Star Wars (the original movie was, after all, experimentation based on the familiar). FACPOV gave us that — and it gave us a large variety of stories, catering to various different perspectives and interests. I’m sure that between all of us, there was at least one story that we knew we’d love as soon as Del Rey announced the story subjects. But what I want to get into first is…what surprised you? We’ll have time to talk about expected favorites later, but for me part of the joy was finding several stories I never expected to be my favorites, but they were. Was it the same for you? Nick: When FACPOV was first announced, I remember being pretty excited. Looking back at TheForce.Net’s main thread for it, one of my main hopes was to see a story through the eyes of Mon Mothma, given what we knew the Alliance had just been through during the events of Rogue One. As the stable of authors continued to be announced and expanded, I knew that we were going to be in for a real treat. Fry. Freed. Hidalgo. Miller. Wendig. Whitta. It’s a roster of some of the best Star Wars talent out there. As anyone that knows me from TFN, ETE, or Twitter would expect, stories about the last moments of the Tantive IV, Mon Mothma’s inner doubts, and the brave pilots who flew against the Death Star blew me away and were instantly favorites of mine. They built the lore, they expanded on people, places, or events we know and love, and added extra nuance and emotion to so many key scenes from ANH. However, the most rewarding part of the book wasn’t the stories I knew I’d love, but the ones that surprised me and oftentimes had some incredible emotional punch to them. 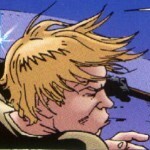 Aunt Beru’s love for Luke is expertly portrayed and written by Meg Cabot. The final minutes of Alderaan by Madeleine Roux actually brought me to tears, as we see Bail and Breha Organa’s last embrace, but also their love for each other and their amazing reservoir of hope in their final moments. Or stories about Wuher, that cantankerous bartender in the cantina, who Chuck Wendig shows us is scarred by war and struggling to live his life as best he can. These stories all resonated with me and countless others. The whole book is a showcase of brilliant writing, editing, and creativity. I can only hope to the Force that we’ll be discussing similar books in 2020 and 2023! Ben C: There were definitely surprises for me. Stories like “Eclipse” you would expect to be a real punch to the gut, but it exceeded expectations and still re-cast the scene in a far, far darker light. Yes, that’s right, it made a sequence of planetary destruction far, far nastier. An big early surprise was the story from Ken Liu, “The Sith of Datawork”. This was the nearest I’ve ever seen SW get to the likes of In The Thick Of It / W1A, as this tale of institutional bureaucratic skulduggery unfurled. There’s always been — and always will be — organizational fixers, but this takes on a darker hue in the Empire, as you need to successfully blame someone else! This story is all in the execution, which was wonderful. Had you told me a year ago I’d love this story I’d have been exceedingly skeptical. The bigger surprise is that the book took the opportunity to re-tell ANH with all the added knowledge of the last forty years – the sequels, the prequels, the new sequels, Rogue One. They went and looked at all of that and then said: right, how would this work now? And it worked so very brilliantly. Ben W: I heard through the Star Wars Twitter grapevine that FACPOV was a grand experiment, both in terms of the sheer scope of its reach and the number of authors involved, and the willingness of the authors to do, basically, whatever they wanted with each story. No mind paid to “canon”, no editorial mandate dictating which author worked on this or that type of story. And as an experiment, I would say it was a rousing success. As such, there are several stories that I found personally enjoyable and even touching that I did not expect, either because of the topic they were covering or the author telling the story, or both. There were far more likes than dislikes for me, so I’ll highlight just a couple of stories I found particularly compelling for whatever reason. “Laina” comes to mind first. Coming from an author far more associated with Star Trek than Star Wars, Wil Wheaton delivers a layered little story of a single father caught up in the war against the Empire, leaving a message for his infant daughter as he sends her away for her own safety, that still packs that classic short-story twist at the end. That the pre- and post-hoc nature of the story doesn’t rank on the scale of experimental styles within the collection is more a commendation of the book than a detraction against this story. It was one of the stories I was most curious about going in and it wound up being one of my favorites. On the other hand, a story that I had no expectations for going in, but wound up sitting in my top ten of the whole book, was Daniel José Older’s “Born in the Storm”. The gimmick of the story ran itself out rather quickly for me, the idea of a hapless sandtrooper filling out a report of his findings from Tatooine, but the places that it went and the steady unraveling of his sanity as told through his own words was unexpected, to say the least. There’s something about the starkness of the ending that stuck with me long after I had finished reading it. Mike: I was totally blown away by “The Kloo Horn Cantina Caper”, but I already loved DeConnick and Fraction so I can’t really claim that as a huge surprise; one that did grab me unexpectedly was “Stories in the Sand”. There were two common complaints, at least in my circles, with the Expanded Universe’s take on these kind of stories—one was that they made bit players from the movies into bigger deals than they needed to be, and the other was that everyone had to be the quintessential example of their culture or species. So Jot, a runt even by Jawa standards who doesn’t even appear in the movie yet makes his own mark on the events by choosing to leave Artoo’s memory intact, was the kind of character I most enjoyed spending time with. Rather than give everything in ANH the weight of cosmic significance (even though that really is the stakes we’re dealing with here), it’s nice to think that the Death Star was destroyed thanks in part to a series of mundane acts of kindness, and the stories that played with that idea (“The Red One” being another example; sorry Skippy) tended to be my favorites—when the Force does its job right, you won’t know it’s done anything at all. Mark: The biggest surprise was Nnedi Okorafor’s “The Baptist.” Too often the Force is reduced to “good magic powers” versus “bad magic powers” and choosing the right ones to use, and while it is that…it’s also, well, so much bigger. It’s life, nature, harmony among living things. When people talk about “balance,” I think of ecosystems and the balance of nature, not Good Guys and Bad Guys. The new canon has made an effort to bring this idea back with Ezra’s connection to various creatures in Rebels, but to actually read a story from the point of view of a “monster,” and to find it has a connection to the world, its own wisdom and sense of its own destiny and the destiny of others, was an absolute joy. “The dianoga is Force-sensitive!” feels like a clickbaity headline that would trigger Twitter trolls to go on a rant about Disney, but it’s a beautiful distillation of a side of Star Wars that’s always been there, but has barely been explored. Oh, one more. Pablo Hidalgo including a conversation between Tarkin and Motti from the Brian Daley radio drama in “Verge of Greatness.” I adore those radio plays, and I’m always delighted when someone brings an element of them into canon, so this was a very welcome surprise. Jay: There were a lot of stories that surprised me, being out of my normal wheelhouse. It’s hard to recall them by name actually, since it’s the memories of what happened in the stories and the feelings they brought up that sticks more closely to me than the story titles. I’m surprised in an unsurprised way: I think one of the reasons why I’ve always wanted a short story collection in the new canon was the experimentality of it, I wanted to experience something new and read works by new people. So on that level, I knew I’d be pleased? But that’s sort of an abstract desire. What really got my attention is how I engaged with those new stories on more than just an intellectual curiosity type of level. McElroy’s story with Jot the Jawa was one that made me put the book down because I had to process what I was feeling when I was reading it, both the empathy for this scavenger who wanted to experience more of the outside world and had to do it so furtively, but also the dramatic irony of knowing more than the character does. Some people are squeamish about blood and violence, or scary things — dramatic irony makes me squeamish, at least when it’s the sense of mounting doom that characters are barreling straight towards. So when Jot essentially uncovered the prequels in Artoo’s memory banks, I thought “this was why Artoo never mentions Anakin or Padmé or young Obi-Wan” and I was horrified. I was 1) convinced it was going to happen and 2) didn’t want it to happen. When I picked the book back up, not only was I wrong about it happening, but I was so completely relieved — and it felt strange, because that story was already set, but it was this accidental connection to the main storyline that hit me the hardest. I couldn’t possibly list all the stories that surprised me, but Rae Carson’s “The Red One” certainly did. It was another case of dramatic irony: I really felt for the droid, but I knew what was going to happen and it hurt. And yet the droid’s story was moving and touching, especially after knowing his history. Another great story? “The Kloo Horn Cantina Caper”, which Mike already touched on but I’d be remiss in not mentioning how thoroughly engaging and hilarious it was. Wendig’s story about Wuher was also surprisingly touching, given I’d never thought of Wuher as anyone but a gruff bartender. Delilah Dawson’s Garindan story was another pleasant surprise — we knew from the EU he was an Imperial spy, but the way his story was personalized and his situation unfolded was similarly remarkable. Wheaton’s “Laina” was the biggest gut punch of the entire book. If there’s a common element to the stories I enjoyed, it was that they were all deeply personalized to the experiences of these characters. To a certain extent that is at least part of the premise of the book, but the ones that surprised me (and this isn’t an exhaustive list) all deeply engaged in the chosen POV’s character development. Now I want to ask the opposite question from my first one. We knew going in what the titles and subject matter of all the stories were, and who was writing them. Which stories did you go in knowing you’d like/expecting to like? And did you end up liking them? Mark: I was, you’ll be shocked to hear, most excited about the Force ghost stories, particularly Claudia Gray’s “Master and Apprentice”. It exceeded my wildest hopes. Gray’s description of what it feels like to be one with the Force, the relationship between Qui-Gon’s consciousness, the Force itself and its connection to all living things, made me desperately hope she will one day write the full-length Qui-Gon novel she keeps asking for. She just gets it. Particularly welcome is that while Qui-Gon and Obi-Wan express regret over their mistakes, they conclude that Anakin did have enough guidance to make the right choice, and his bad choices are his own – satisfying, given the recent trend of fans looking to blame anyone other than Anakin (or Ben Solo) for their inexcusable actions. Its description of the way Qui-Gon takes shape based on his “memories” of himself could finally explain how Anakin is able to appear as Hayden Christensen in the new versions of Return of the Jedi. Most excitingly, it’s now established that Qui-Gon’s training continued after death, and that by the time of ANH he can take corporeal form. If the Obi-Wan anthology movie goes ahead, the option is now there to have Liam Neeson appear physically in the film, not just as a voice. That could be the greatest gift Claudia Gray has given us. Cavan Scott’s “Time of Death” had some lovely glimpses into the future, while Gary D. Schmidt’s “There Is Another” brought to the forefront the question of whether Luke or Leia would have made a better Jedi. This is a fascinating debate, because while Leia, as the more emotionally mature and practical of the two, seems a better candidate at the time of ANH, could she have found the absolute forgiveness for Vader that Luke has, given what happened to Alderaan? Bloodline suggests not. While we’ll never know for sure, I love that we now have a story that puts this question centre-stage. David: I was also looking forward to Claudia Gray’s offering and, while her writing was top notch and the test was as emotionally rich as she’s getting us used to, I was a bit disappointed by it. I guess the whole concept rubbed me the wrong way. I’m not big on doing the Guildenstern and Rosencrantz bit without any humor or irony, and the idea of wedging Qui-Gon into every single ANH scene where Obi-Wan was on his own was a bit too much. Distracting, even, like Dan Forden’s face popping out and ululating “toasty!” in the middle of a fight to the death (you can always count on this website for your best Mortal Kombat II references). It was a good story, because Claudia Gray is a fantastic writer, but it was not what I expected. The other short story I was really looking for was Alexander Freed’s “Contingency Plan.” Both Gray and Freed have more than earned their places as my favorite writers in the new Star Wars canon, so it’s only natural that I was looking forward to what they had to offer. Unlike “Master and Apprentice”, Freed’s tale surpassed my expectations. Maybe because they were not as high: Freed’s take on Mothma in the Rogue One novelization was firm but not ground-breaking, undoubtedly because it was not her story, but here we had Mothma’s chance to finally shine in the hands of a great author. And holy mother of God. This one tale, with all of Mon’s scenarios for the future running through her head leading to that final, devastating, last resort, have done more for the character than full trilogies have before. I don’t think anything this relatable, this powerful, and this, well, good, has ever been written about the leader of the Rebel Alliance. I’d even say that this one tale makes the whole book worth the price, in case you are a grinch that doesn’t care about the charity angle. Jay: I knew going in I’d like the political stories and the Imperial stories. There were authors and subject matter I just knew from experience that I’d like, and I did end up enjoying them. Jason Fry’s “Duty Roster” was another great exercise by a master of Star Wars references, Freed’s “Contingency Plan” was a sheer delight (David covered it best, but I’d just like to add — boy, is A New Hope even sadder at the end now that I know the Empire really would’ve won the war! ), Whitta’s “Raymus” was the perfect bridge from Rogue One to A New Hope, Pablo’s “Verge of Greatness” was a treat (literally — both in that it confirmed what I’ve always said about Tarkin and Alderaan, and that Krennic got the last laugh), Revis’s Imperial meeting story (I’d seriously read an entire book about that meeting, and Revis got Tagge just right), etc. There were others I knew I’d enjoy even though they weren’t in my usual lane, because I’d enjoyed the authors’ writing in the past — Gray’s Qui Gon story, Rucka’s story about the mechanic, Gillen’s Aphra story, and Soule’s Lando story among them. And then there were the stories I knew I’d like because of subject matter but was unfamiliar with the writers in question. I want to spend a little more time talking about these, because the best thing about FACPOV are the new voices. Ken Liu’s “Sith of Datawork” was a fantastic look at Imperial bureaucracy (which I love), that’s both funny and one hundred percent believable. Of course the Empire would have a zillion forms, of course they’d have clerks who were masters of them, and of course people would game the system. This was my first look at Ken Liu’s writing, though I got to read his middle-grade Legends of Luke Skywalker shortly after FACPOV thanks to the NYCC early release…and I hope he keeps getting to write Star Wars. Similarly, Mallory Ortberg’s Motti story was absolutely hilarious. I’m really disappointed in myself that I’d never heard of her before, doubly so because people had always raved about The Toast to me, but she also captured that banal workaday evil of the Empire through that absurd HR complaint Motti issued (the best laughs were from Motti’s complaints about religion, because it made me laugh and wonder what he’d think of the EU’s absurd Prophets of the Dark Side). I could go on and on here–Adam Christopher’s “End of Watch”, the (apparently controversial??) “MSE-6 and Men” story, etc. At the end of the day, I enjoyed almost every single story in the entire book — despite having a wide difference in authorial styles and subject matter. I think that any of us could have probably written individual articles on many of these stories. This anthology really goes to show the sheer breadth of Star Wars storytelling that’s available — stories beyond the typical stories with Jedi and stormtroopers and X-wings (even though we all enjoy those too, and are happy to have more!). I hope we see more experimental storytelling like this, and not just in the form of another movie anthology (though if they don’t do an ESB anthology, they’re crazy!). It sounds like it was a lot of hard work to put this together, but the results really paid off in my view. More, please. I’m curious to see which stories weren’t mentioned here: I figured the Kenobi-sequel(?) would get a bigger shout out, at least! I haven’t read the novel, so it didn’t land with me quite like it would had I read the novel before. I enjoyed the final few stories taking place around the assault on the Death Star, but Evaan’s conspicuous absence really showed here. I wonder if they are saving her for another book/story? I thought the A’Yark story was great but it didn’t stick out much because I was expecting it to be great—similar to Master and Apprentice, really. The ones that most stand out are the ones where I didn’t know what I was getting into. If I remember correctly, Evaan was mentioned, though it would’ve been nice to have a story from her point of view. I just enjoyed how varied the stories were. When viewed as a whole, you had perspectives from all over the place. It was a large, wild, and broad universe that I think almost any reader could find a place where they fit in.